Liczba stron: 2 Jest to ujednolicona liczba stron, która ułatwi Ci porównanie długości książek. Każda strona Legimi to 200 słów. 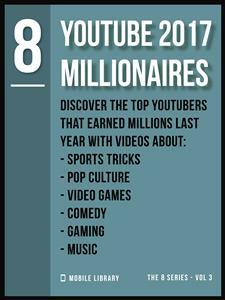 YouTube is now the Promised Land for those who are looking to find young millionaires.In this eBook you will discover 8 very young masters of social vide that, using tools like a camera, work, and creativity, were able to really find gold in this social network.These one’s (according to Forbes rankings) was able to earn more money in YouTube in 2017.Be surprised by how young they are, and how many millions of dollars they get….